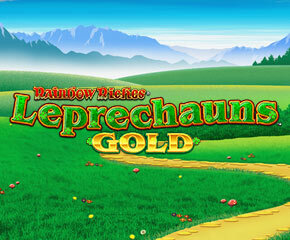 Another addition to the Rainbow Riches series is the Rainbow Riches Leprechaun’s Gold and it is safe to say that this slot is every bit as interesting as its other counterparts. The slot has 7 reels, 5 rows and 50 paylines which means there are more chances of winning in this slot game. The players can expect to win up to 10,000x their stake and have lots of fun while doing it. The slot has been designed by Barcrest Gaming and can be played on all mobile as well as tablets. Rainbow Riches Leprechaun’s Gold slots has an Irish theme. This means that the graphics are colourful and the players will be able to see a farm in the backdrop. The reels are purple in colour and since there are seven reels, the slot looks really packed. The symbols include the logo, a rainbow, harp, toadstool, horseshoe and four leaf clover. The lower symbols are made with playing card symbols. Betting starts at 10p and can go up to £500 per spin. Rainbow Riches Leprechaun’s Gold has a wild symbol which is depicted by a gold coin and will be used in the place of any other symbol on the reels. There is a bonus symbol which is depicted by a Leprechaun. The symbol will activate the Rainbow Ring Bonus Spinner feature. ‘?’ Bonus in which the ‘?’ symbol are added to the reels which will take the shape of any symbol while making a winning combination. Free Spins feature will reward the player with 8 to 25 free spins. At the end of the free spins round, a wishing well will appear which will give the players some more free spins or multipliers. The lat is the Wild Rover feature in which wild symbols will get added to the reels randomly and they keep spreading themselves. In addition to these, there is also a Big Bet feature which is an optional feature and can be bought in the base game. For some price, the reels will turn into Super Rainbow Reels and if the coin lands on those reels, the multiplier will be rewarded. 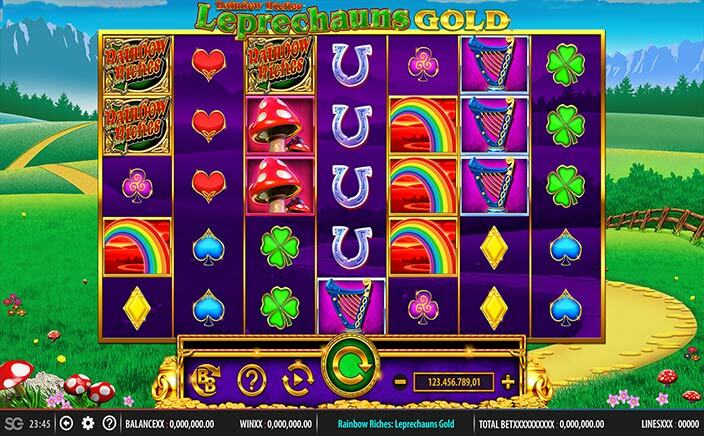 Rainbow Riches Leprechaun’s Gold has a lot of features and some really colourful graphics that please both the eyes and the pockets of the players. The fact that there are so many paylines in the slot game makes it easier to win and take home big rewards.